Safe and Porous Surface Providing Slip Resistance, Even When Wet! Looks Like Turf– Performs Like EPDM Poured- in-Place! No Fault is the industry leader and innovators of the original poured-in-place playground surface in North America. So it’s no surprise that No Fault would be the first to introduce shredded EPDM poured-in-place playground safety surface. Fill out our quick and easy “request a quote” form now and we’ll reach out to discuss your needs. No Fault Rubber Turf looks similar to artificial turf with all the benefits of a traditional EPDM poured-in-place surface! No Fault Rubber Turf is made from 100% Shredded EPDM Rubber, mixed with premium polyurethane binder, providing a porous, seamless safety surface like no other! 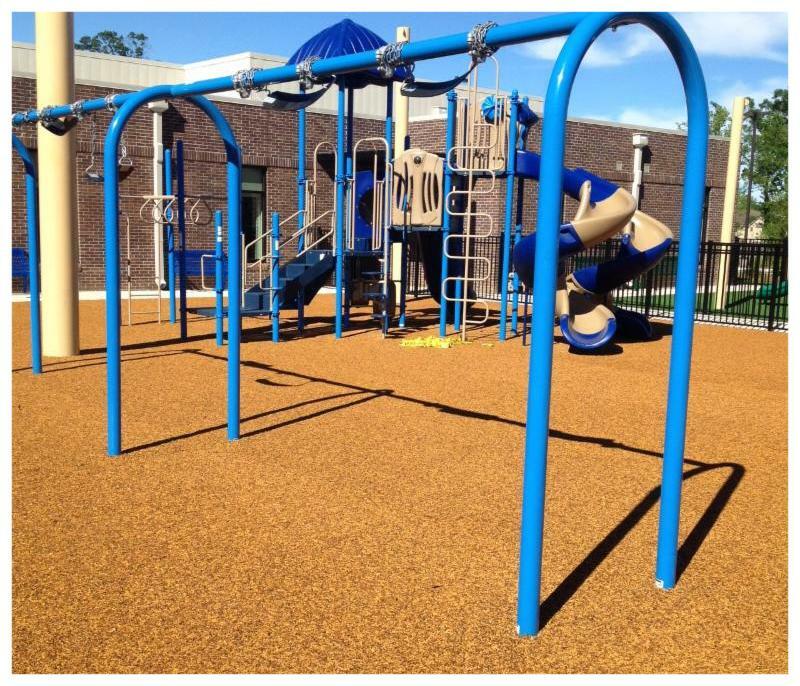 EPDM Rubber is the only material that is proven to be the best performing and most durable component of any Playground Safety Surface System. EPDM rubber is clean, man-made rubber that is colored through which means it’s not painted or pigmented and will not wear off. No Fault Sport Group provides coast-to-coast installation service to ensure consistent quality and premium customer service for all of our poured-in-place surfaces!